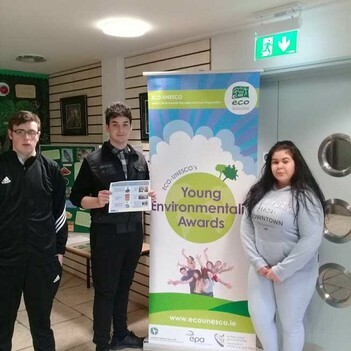 Learners at Cavan Youthreach have recently been very successful at the ECO-UNESCO Young Environmentalist Awards where they won the Senior ECO-Community Development Award. After presenting their project, The Human Cost of Electronics, at the Ulster Eco Den at Lough Neagh Discovery Centre in March, students at Cavan Youthreach were selected as finalists for the Young Environmentalist Showcase and Awards 2018. The event was held in The Round Room of the Mansion House, Dawson Street, Dublin 2 on Tuesday the 22nd May with Cavan Youthreach winning the ECO-Community Development category. 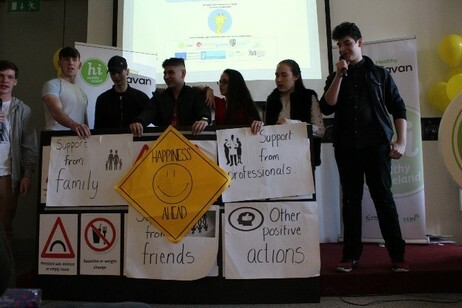 A team of students showcased their project, which is aimed at promoting peace and justice in the Democratic Republic of Congo, by informing people on how their behaviour as consumers of electronics and jewellery can impact the lives of people living there. The students researched the issue, contacted agencies working in the field and designed a project plan. They created a presentation, which is available to view on Youtube, held an awareness event at the centre and sent 100's of emails to relevant companies who do business in the DRC. As a result of the campaign, Cavan Youthreach passed a General Resolution to favour conflict-free products. "If you own an electronic device or have an interest in the rights of women and children, then you should be interested in the Democratic Republic of Congo"
The Drugs.ie 'Let's Talk about Drugs' National Youth Media Awards is an annual competition which encourages discussion of drug-related issues by inviting young people to produce a piece of original content relating to drug and/or alcohol use. 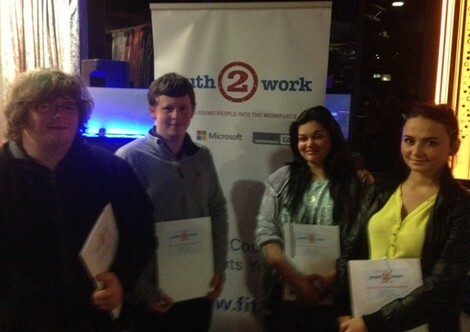 Five students from our centre entered some inspiring content and all received a certificate of completion. Huge congratulations to Martin Maughan who won first prize in the article 15-17 yrs category and our group entry which consisted of Kathlin Maughan, Natalie Mongan, Martin Maughan, Christopher Clail who finished second in the audio category. Well done to all who participated. The Awards Ceremony for the winners and runners-up took place on16th May 2018 in the Department of Education Clock Tower Building, Dublin 1. 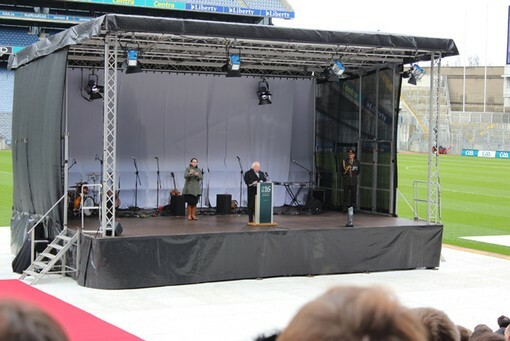 Shane Coleman, from NewsTalk FM was the guest of honour on the day. 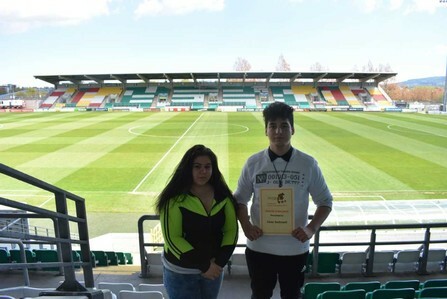 Students from Cavan Youthreach were awarded a certificate and won tickets to see Ireland versus the USA at the Show Racism the Red Card Event at Tallaght Stadium on Monday 30th of April for their audio-visual piece entitled Vumbi. "I hope our project will promote tolerance and acceptance of refugees worldwide and increase understanding of why refugees have to flee their home". 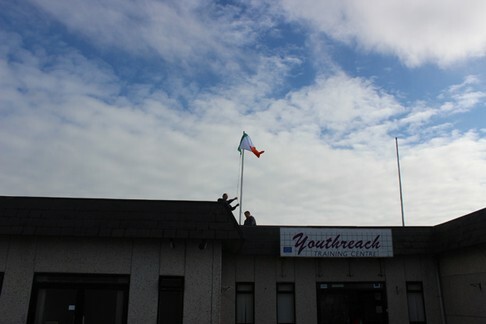 Cavan Youthreach held a mental health day on 20th April in Johnston Library in Cavan Town. 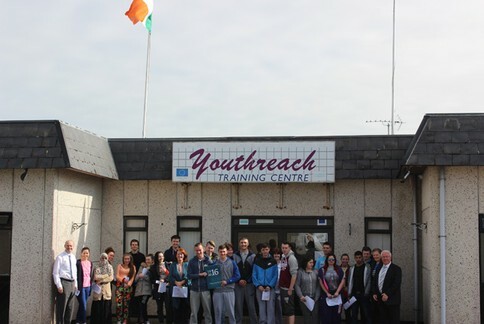 Local Youthreach learners, youth groups and school transition years where invited to attend. The event was all about promoting positive mental health, how to reduce the risk of suffering from mental health issues and how to get help if you need it. 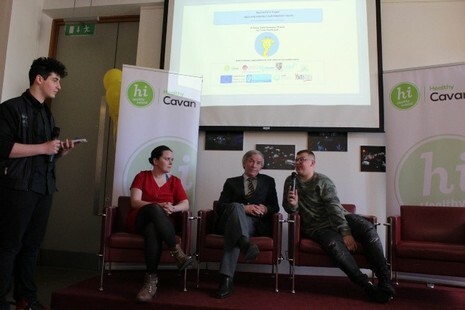 The event was run as part of the Cavan Youthreach Young Soical Innovators Project where the group also performed a Speak-Out in Drogheda on 13th March as well as many other innovative actions to tackle this issue. 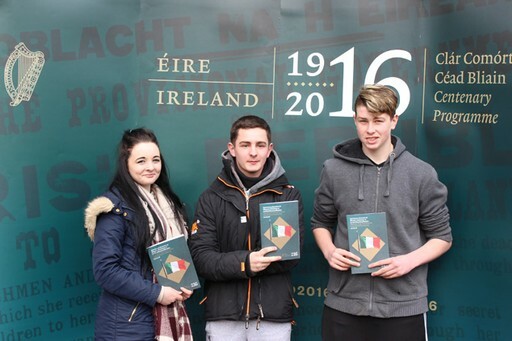 Guest speakers for the event included John Lonergan, Jamie Harrington and Gráinne Conaty. It was a great success and it is hoped to be an annual event.